A nice CYB I saw at Willow Springs a few years back. This bike gave me the idea of doing it in blue. I plan to keep all the colors stock (no silver tank). 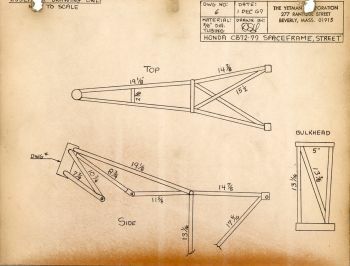 Some CYB pics I grabbed off the net. 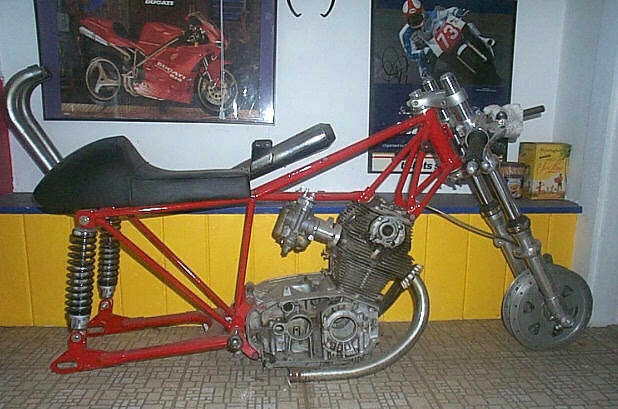 There are surprisingly few if any pictures of real CYB bikes online. 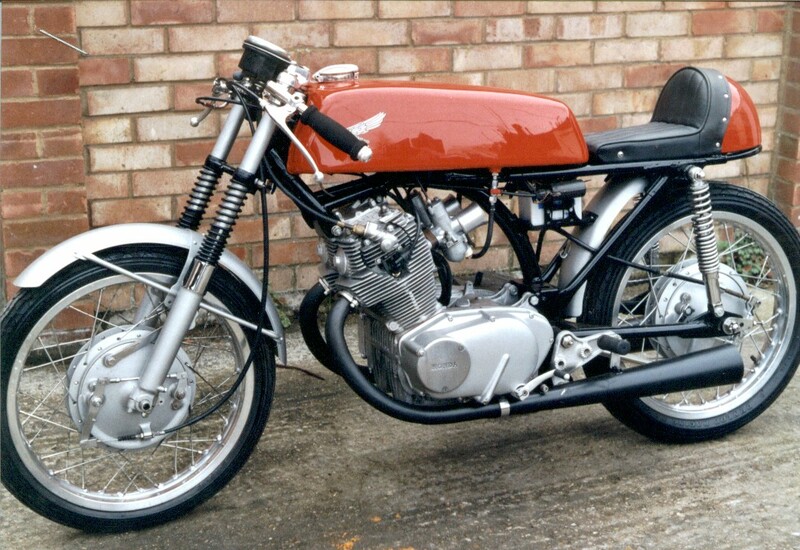 I have never seen a picture of a factory CYB72 or CYB77, nor have I seen any pictures of a restored CYB kitted bike. 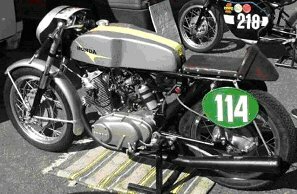 All I seam to find are pictures of vintage race bikes (they are all ratty looking) and cobbled up cafe bikes. 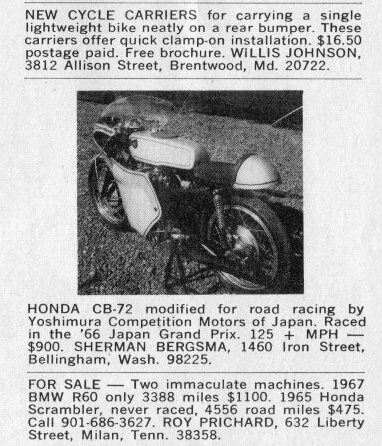 If anyone reading this has some good pictures or literature on the CYB kitted CB72 or CB77, please e-mail me. 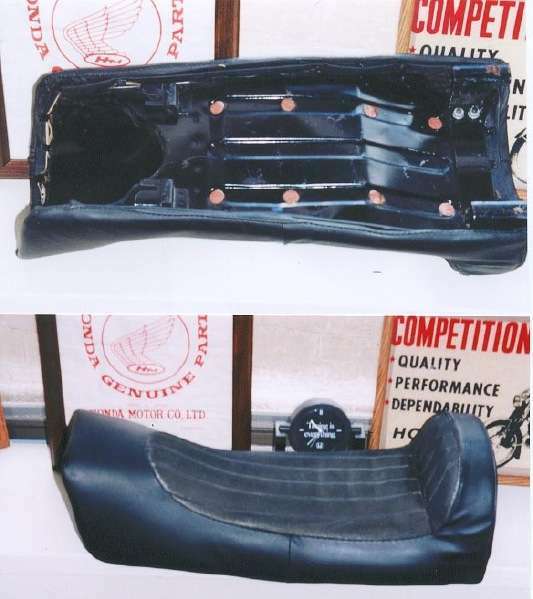 Here is my CYB seat I got off eBay a few years back. This seat is NOS. A set of CYB rear-sets I got out-bid (sniped) on eBay. 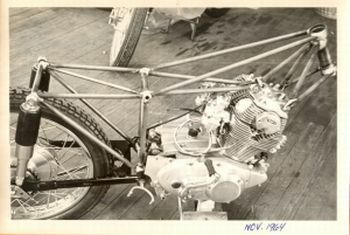 The CYB rear-sets came in two configurations. 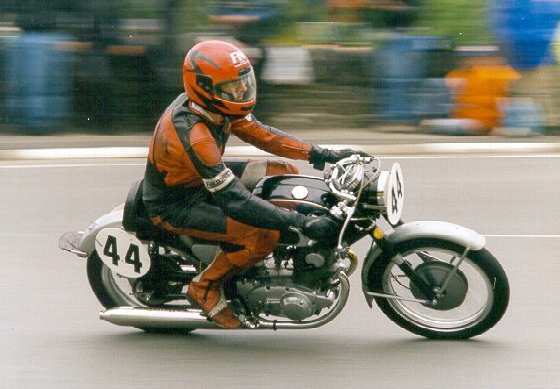 One style had stock rubber foot-peg covers and a linked stock-style shift lever like these. 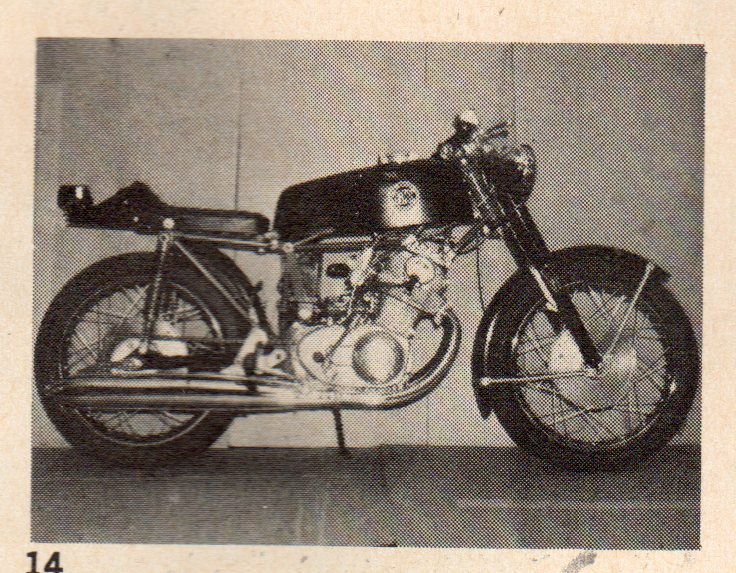 the other style had cast foot pegs like the CR Honda bikes (like the set I lost the bid on above). The cast style pegs also don't have a location for the linked shifter instead they use a shifter that is mounted on the shift shaft in reverse. You can see the reverse shifter style on the set from eBay above. The reverse shifter looks exactly like a CL77 shifter but a bit shorter. 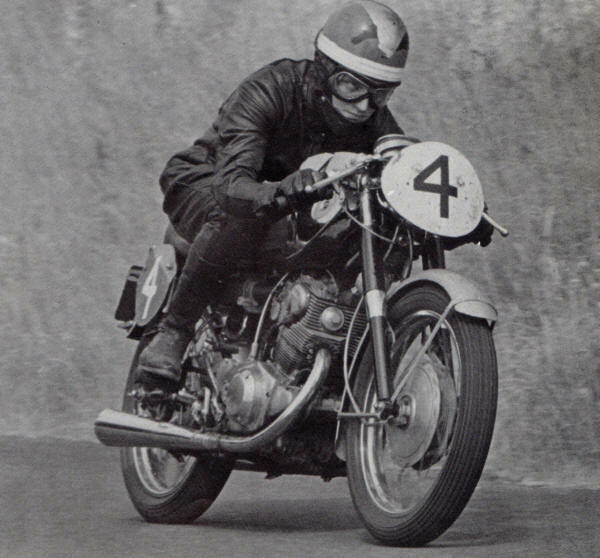 I really like the cast foot peg style so I looked around for a few years and found some. 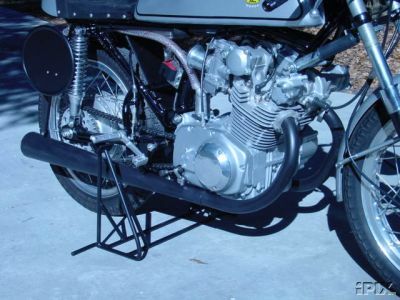 Hear are some VERY nice CYB rear-sets on a super nice CB160 racer at the 2008 Legend Of The Motorcycle. these are the sand cast style foot pegs but I noticed they have a different style break pedal. 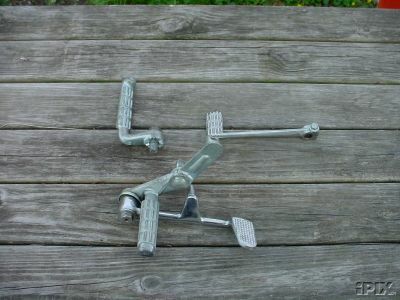 I have noticed that the CYB break pedals came in at least two styles. One style is exactly like the stock break pedals except for the cable mount is moved forward to match the different location of the cable stop on the rear-set bracket. I have the stock style CYB break pedal. The other style brake pedal is much heavier looking, has an unpolished sand-cast finish and has a much bigger step. 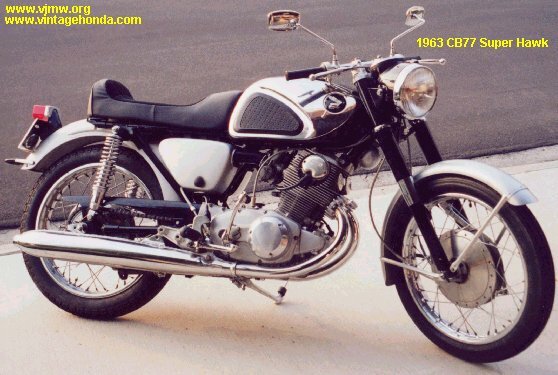 The CB160 above and the blue CYB Honda above have these types. 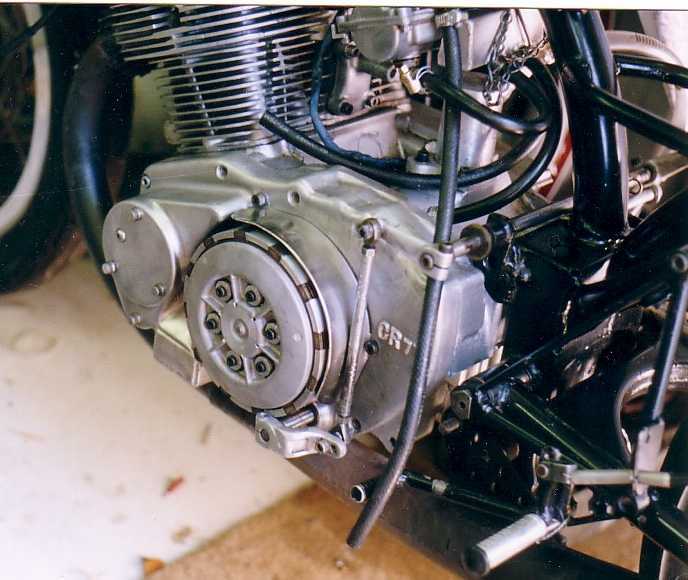 You may also notice that the CB160 has a different brake cable stop with a bolt going through it. 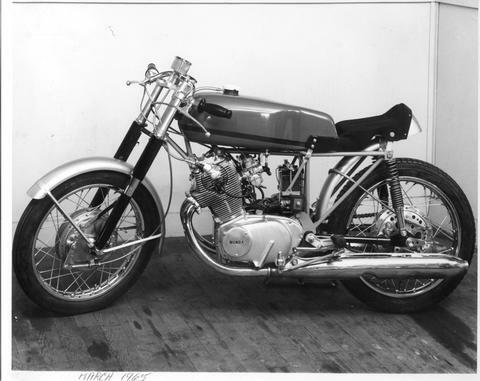 My guess is the bracket on the CB160 is either a reproduction part or yet another variation. Hear are my CYB rear-set brackets and the CYB break pedals. 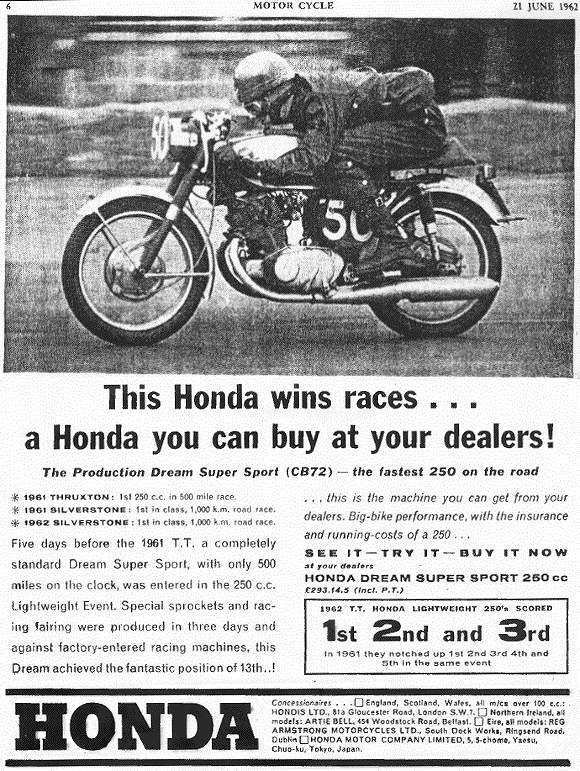 Here is a little pile of Honda goodness! 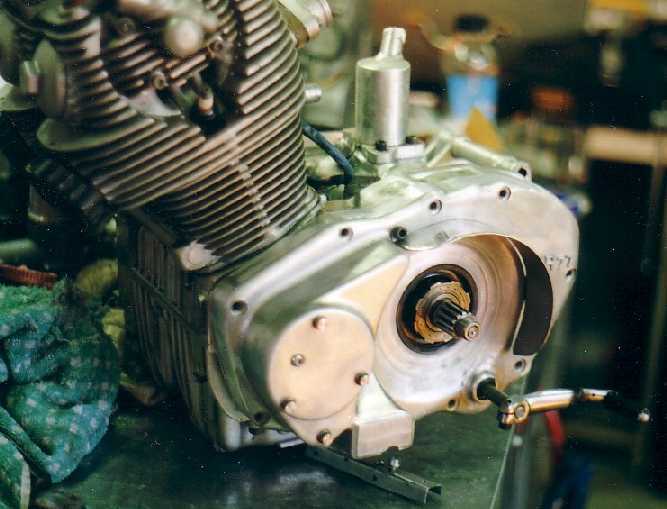 The CYB top triple-clamp cam from a well know CYB racer from California. I went to his house down in LA to buy some other parts like a second used CYB seat. He had this smooth top triple clamp that had the tach ring broken off in a crash. 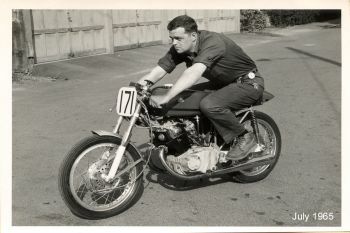 He likes to use NOS CYB parts on his AHRMA race bikes. When he wrecks he just sells the damaged stuff and replaces them with more NOS parts from his large stash. The ring on the one he sold me had been poorly welded back on. 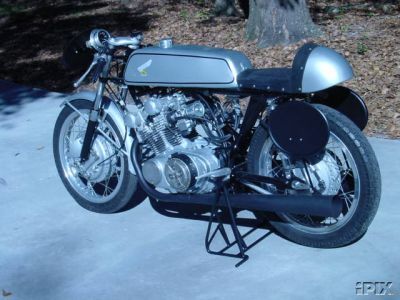 I am building a Cafe bike with stock head light and ears so I don't feel bad cutting off the damaged ring. 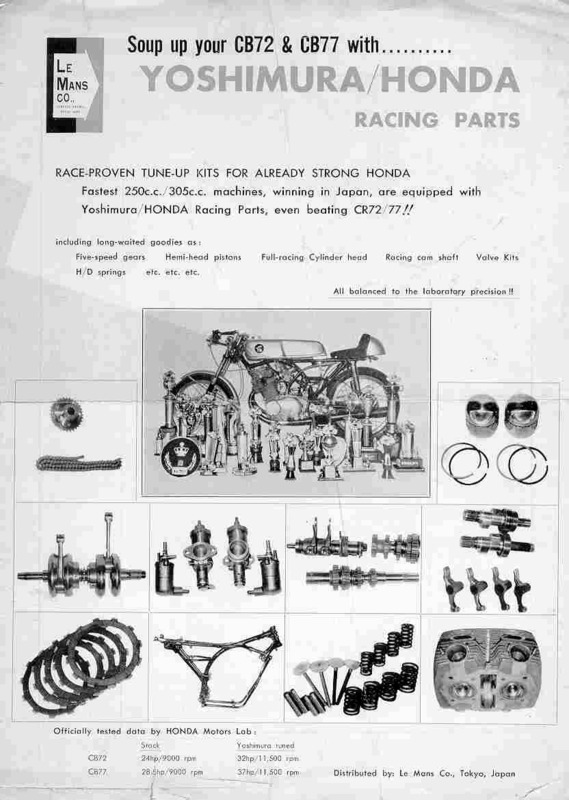 In the pics you can also see the NOS CYB cams, NOS CYB clip-ons, S&W-Webco valve springs, Webco clutch springs and lots of NOS engine parts. I found two sets of CYB pipes on eBay (VERY EXPENSIVE $$$$!). One NOS set that has lots of surface rust but no pitting. this set will need to be re-chromed. the second set were re-chromed at one point but are not perfect. they have no dents or dings but they have some minor scratches. I plan to use the NOS set since they will look perfect, once re-chromed. The set that were already chromed are now on my 1962 all-chrome CB77. 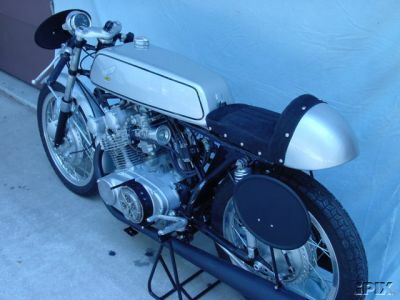 By the way, if you haven't heard a CB77 with factory CYB megaphones, you will be shocked at how good they sound. These bikes sound incredible. The 180 degree crank puts out a very distinguishable squeal, add open megaphones and that squeal turns into an unforgettable scream!!! 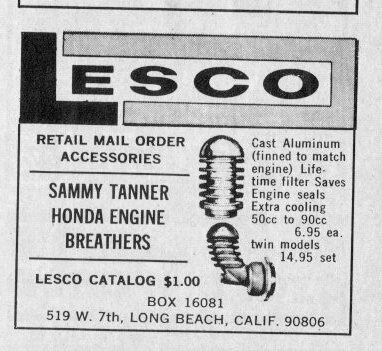 In the NOS Honda parts pics above you can see I have a set of these head-breathers. Most people seem to think these were made by Webco but, as you can see by this add, that's not the case. This is what the breathers look like on a CB77. 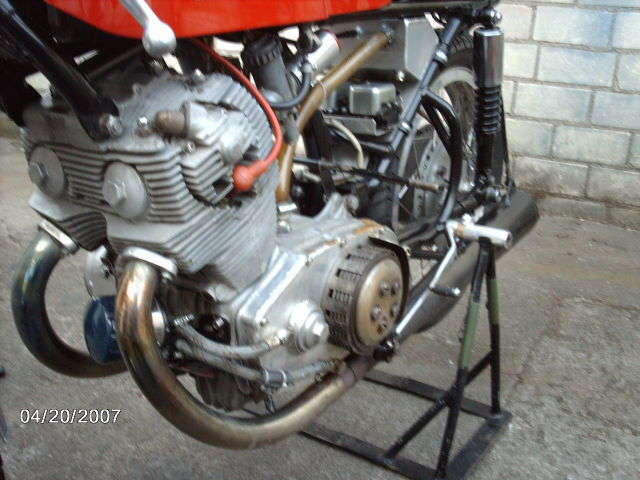 Here is where I plan to deviate from Honda's idea of a carb upgrade. 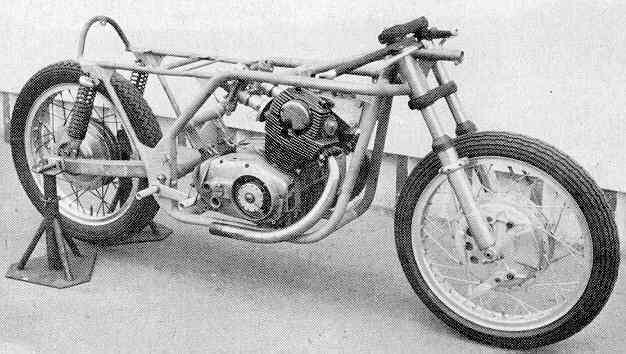 I have read that the "CYB Carbs" were just a stock carb with bigger jets. 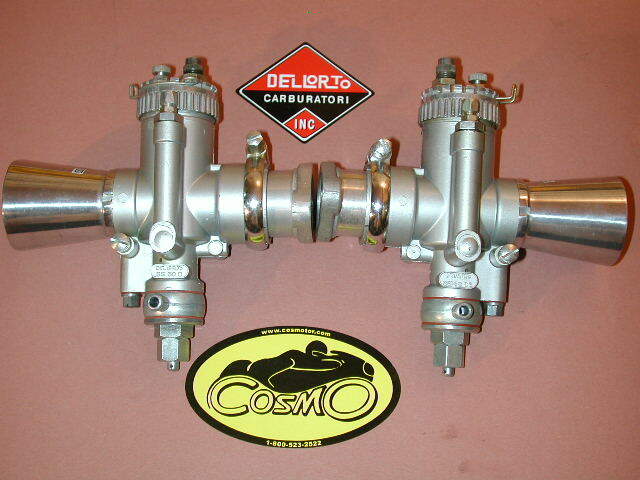 I got me a set of NOS left and right 30mm Dellorto SS1 carbs from Cosmo. for the float I found a nice Dellorto matchbox remote float that attaches between the two carbs like the floats you would find on most Italian four cylinder GP bikes of the 60's. The floats are unlike anything I have ever seen from Dellorto, in fact, nowhere on the float does it say Dellorto. I really don't know what these are or who made them. I actually got 2 of these off eBay. 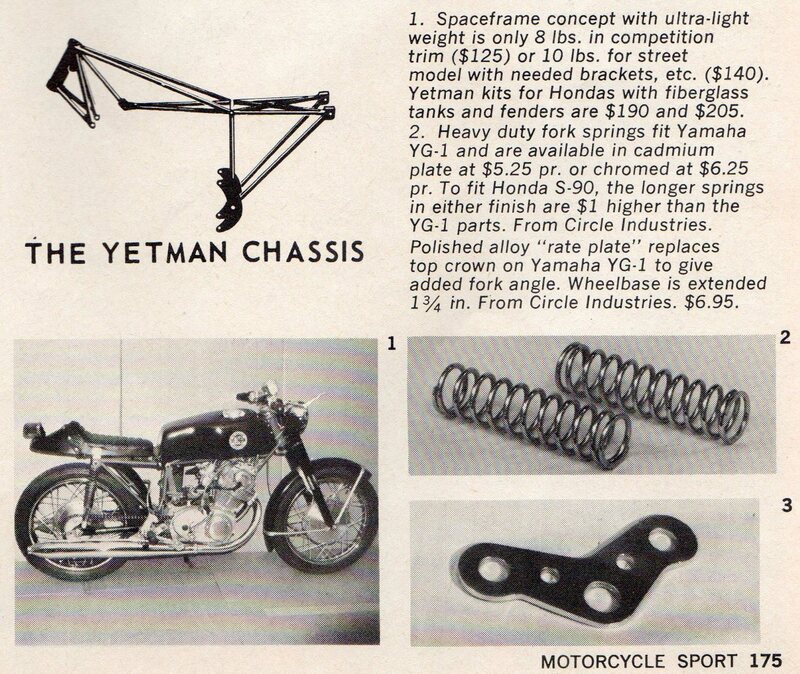 I would love to set my bike up with one of these Yetman frames but they are hard to find. If any of you have one to sell or knows someone who is willing to sell one, please e-mail me. 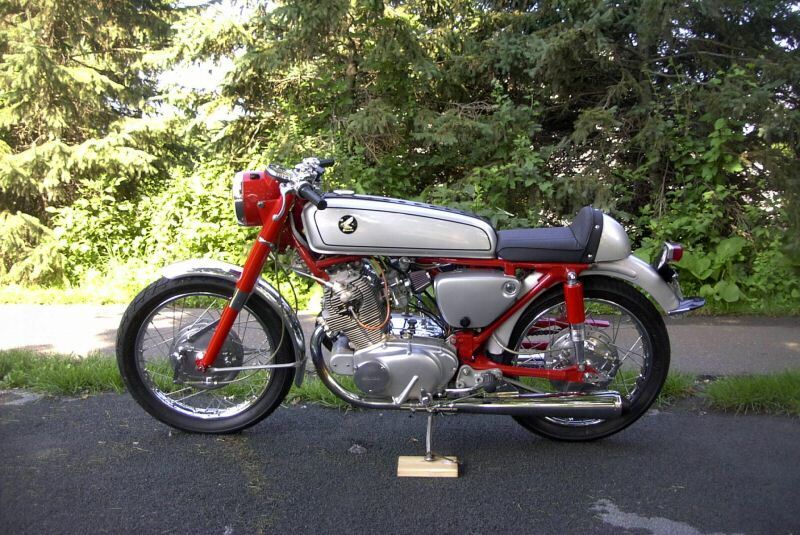 Some nice modified CB77 racers off the net. If only I had a time machine! 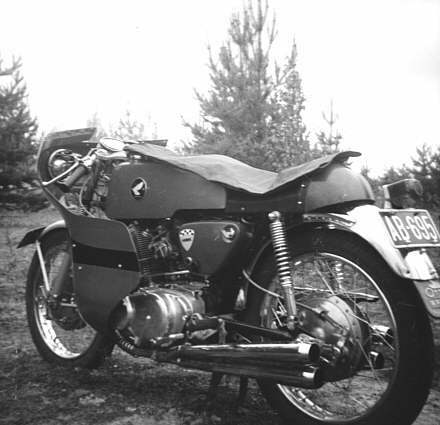 This is from a 60's Cycle World. 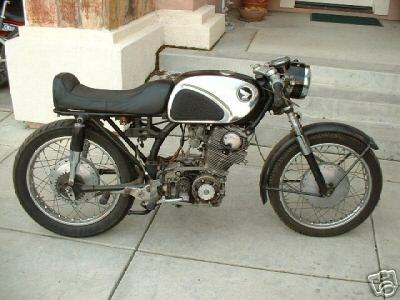 I am always looking for Honda CYB or Yetman parts, literature, photos or information. If you have these parts for sale, know anyone willing to sell these parts or have information, please contact me.